The average cost of memory care in Stanislaus County is $3,748 per month. This is lower than the national median of $4,650. Cheaper nearby regions include Merced County with an average starting cost of $3,181. To help you with your search, browse the 19 reviews below for memory care facilities in Stanislaus County. On average, consumers rate memory care in Stanislaus County 4.0 out of 5 stars. Better rated regions include Merced County with an average rating of 5.0 out of 5 stars. Caring.com has helped 9 families in Stanislaus County find high-quality senior care. To speak with one of our Family Advisors about memory care options and costs in Stanislaus County, call (855) 863-8283. Stanislaus County is a largely rural farm county in California's central San Joaquin Valley. Home to 548,000 people, almost 13 percent of Stanislaus County's residents are seniors age 65 and over, many of whom are living with Alzheimer's disease, Huntington's disease or another form of dementia. For those seniors whose condition requires full-time supervision and care, the county has eight memory care facilities to provide room and board, help following a doctor's treatment plan and assist with activities of daily living. These activities include meal service and personal care, and are usually looked after by trained staff. 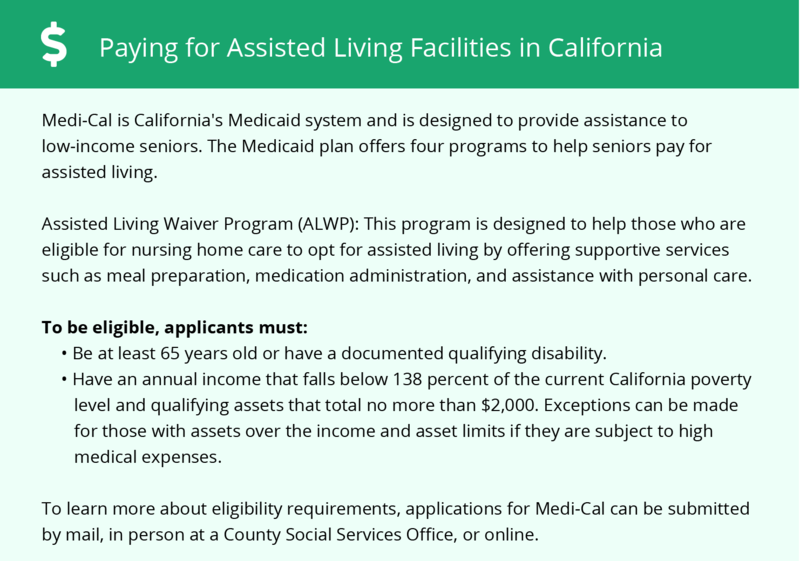 Staff training, health and safety standards and quality of care issues are regulated by the California Department of Social Services Adult Care Licensing program, which inspects facilities around the state. Stanislaus County's climate is typical of California's Central Valley, with warm summers and generally mild winters. Summer highs average 94 degrees here, and winter lows average 40 degrees. Stanislaus County gets roughly 13 inches of rain a year, raising the pollen count in the large tracts of farmland throughout the county, which can aggravate some seniors' asthma. The cost of living in Stanislaus County is just 24 percent above the national average cost of living. By contrast, California's overall cost of living is about 69 percent above the national rate. Healthcare is somewhat more affordable in Stanislaus County, running at just 95 percent of the average cost elsewhere. Stanislaus County's crime rate is high by national standards, though much of the crime is confined to a few relatively small urban areas, such as Modesto and Ceres. Rates across categories here are just under double the national average. Most of the county's crime incidents are classed as crimes against property, and violent crime is relatively rare. The Stanislaus County area is home to world-class medical facilities, including those specializing in brain health and dementia care, such as Emanuel Medical Center and Memorial Medical Center, in the event of medical emergencies or illness. Memory Care costs in Stanislaus County start around $3,748 per month on average, while the nationwide average cost of memory care is $4,798 per month. It’s important to note that memory care rates in Stanislaus County and the surrounding suburbs can vary widely based on factors such as location, the level of care needed, apartment size and the types of amenities offered at each community. Stanislaus County and the surrounding area are home to numerous government agencies and non-profit organizations offering help for seniors searching for or currently residing in an assisted living community. These organizations can also provide assistance in a number of other eldercare services such as geriatric care management, elder law advice, estate planning, finding home care and health and wellness programs. To see a list of free memory care resources in Stanislaus County, please visit our Assisted Living in California page. 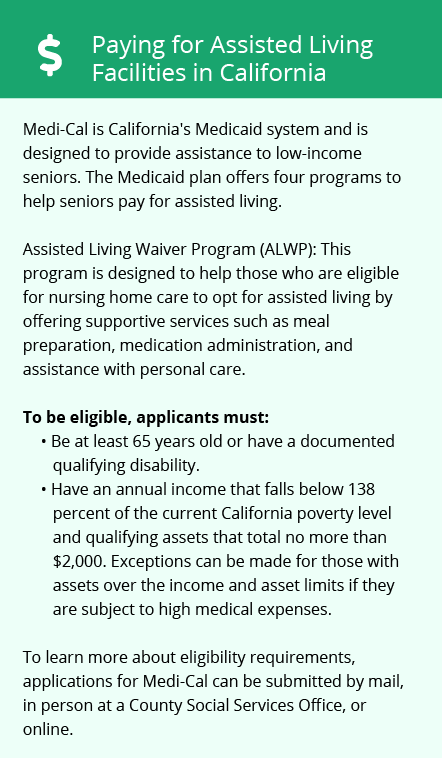 Stanislaus County-area assisted living communities must adhere to the comprehensive set of state laws and regulations that all assisted living communities in California are required to follow. Visit our Memory Care in California page for more information about these laws.